In order to continue the positive growth within our organization, the Chamber relies on a fantastic team of volunteers to help keep things running smoothly. Our "Task Teams" work behind the scenes to make sure our members are receiving meaningful benefits, our events are well-run, and our region is getting the attention it deserves. Tasked with all aspects of planning the ChocolateFest LSRCC fundraiser, to be held in March. The committee begins meeting in mid-October until the event takes place. Meetings in person are often monthly, with frequent email contact and bi-monthly as event gets closer. Tasked with all aspects of planning the Black Fly Open LSRCC fundraiser, usually held in May. The committee begins meeting in mid-January, until the event takes place. Meetings are often every 2-4 weeks in the early planning and then weekly as we get closer to the event. Tasked with all aspects of planning Hospital Days in conjunction with New London Hospital, specifically to include LSRCC's Chamber Night, Band Night and Midway on the Common. The committee begins meeting in mid-January, until the event(s) take place. Meetings are often every 2-4 weeks in the early planning and then weekly as we get closer to the event(s). There are subcommittees that will plan Chamber Night, Band Night and the Midway. Interested in joining a committee? 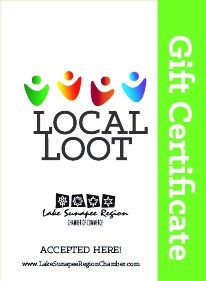 Contact the chamber at admin@lakesunapeeregionchamber for more information.